When it comes to balancing bikes for kids, the KaZAM Bikes are at the top of the list (period). 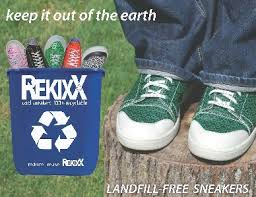 This is a well-established company with several major outlets already carrying this Brand all around the country. In fact, they have proven so popular with kids in the U.S., the KaZAM Bikes are now sold in Japan, Singapore, United Kingdom, Europe, Canada, and Austrailia. Children all around the world are now learning to ride bikes with no training wheels using the KaZAM Bike system. With such an established successful business that seems to have a global expansion already in place, it makes you wonder what the Sharks could bring to the table and make this an even a more successful Brand. For Mary Beth Lugo to give up a sizable equity stake in the company, the Sharks are going to have to come up with a rather large check to make this deal happen. It certainly will be an interesting set of negotiations dealing with an already very successful established brand. Children do not use their leg muscles enough (computer games, tv, texting, etc. So KaZam is essential to brain development as well as body development. BUT i would like to see a well researched (with orthopedic specialists, physiologists, physical therapists). about the efficacy of making this KaZam bike for seniors as well. I am a slightly older woman. I have had a heart attack and NEED to exercise but have a genetic knee defect (more than arthritis) that makes walking/running harmful and painful. Also, I can't bike the way normal people do because the pedal motion raises my knees too high and damages my patellar dislocations. I WOULD LOVE AN ADULT (senior) KAZAM, basically a great scooter that lets one sit, stand, scoot, and helps develop balance or redevelop balance. I would want it in reflective colors for evening scoots to the store or around the block, love a basket and hooks for for grocery bags, and, maybe, if I ever qualify for double knee replacements, pedals. I don't want to be one of those people in motorized chairs. Sitting too much is death. KaZam's a brilliant design. For seniors the handles should be positioned to keep back straight (maybe like the old cruiser bikes). Most importantly it will exercise the center core muscles of the rider. BALANCE is a critical issue for seniors to maintain as we age. I don't want a cent from this idea. I just want to buy a therapeutic Senior KaZam. I was thinking along the same lines as you, Kathleen! I wonder if this could be beneficial to people of all ages who have physical disabilities! Kathleen, I love it. 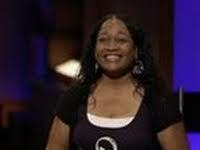 When I saw the Kazam on Shark Tank (just now) it prompted me to look up this wonderful trainer for the young. Reading your comments I not only opened my mind... the light bulb went off. You are so right! To the makers of the bike take heed... Kathleen's idea seems very well founded. 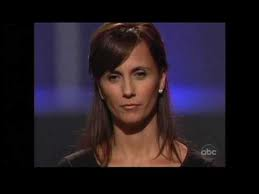 Just saw these episode on Shark Tank yesterday and I'm glad that Mary Beth Lugo got to strike a deal with the sharks. When I was researching balance bikes, the Kazam was one of the bikes that I was going to get for my then 18 month old son. Unfortunately, I went with the Strider instead because the Kazam is heavier. I personally still prefer the design of the Kazam. 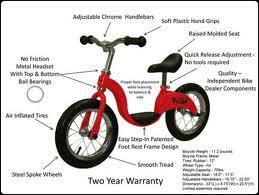 My suggestion would be to have another line of Kazam bikes for the younger crowds (18 month old). Keep the design with the foot rest but make the bike lighter, as light as the Strider.